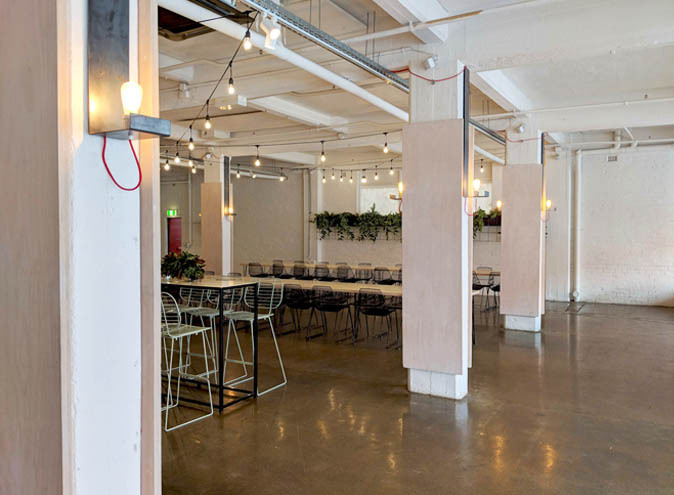 The Woolstore + Co. is a fully renovated urban space boasting the features of the building with a level of sophistication through its fine wood panelling features and polished concrete floors. 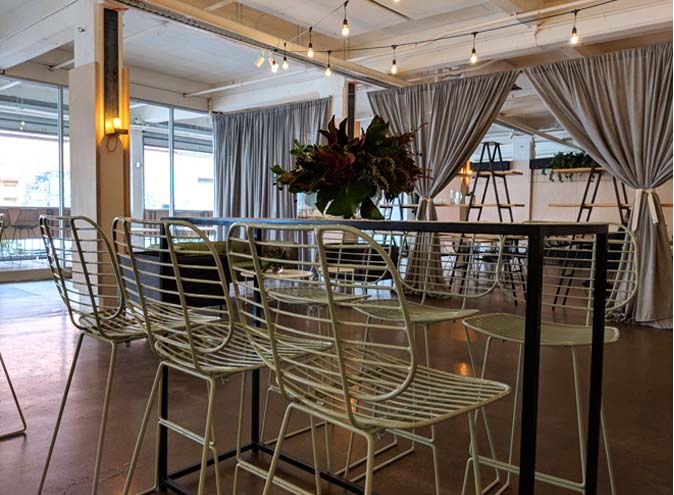 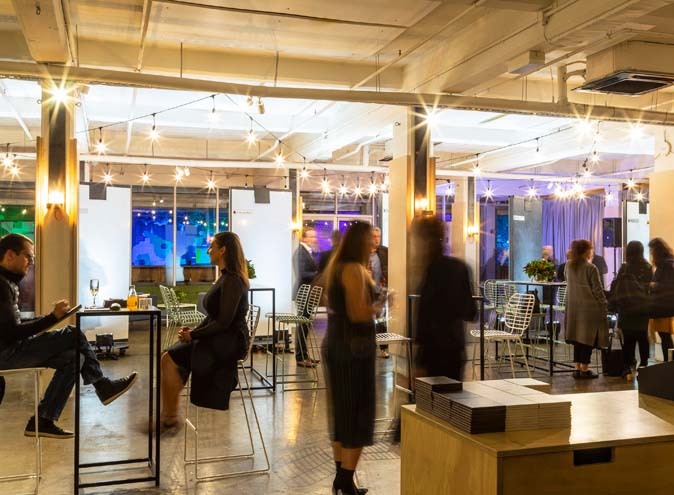 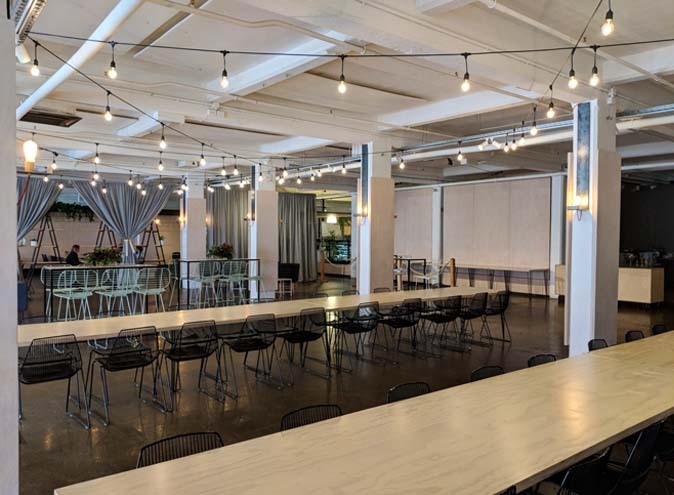 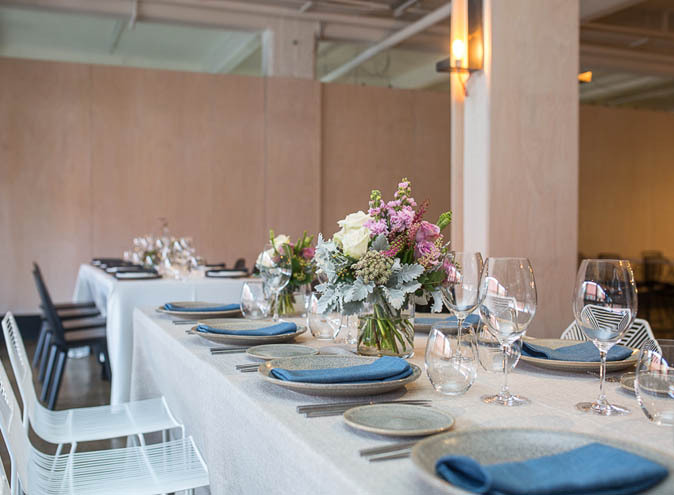 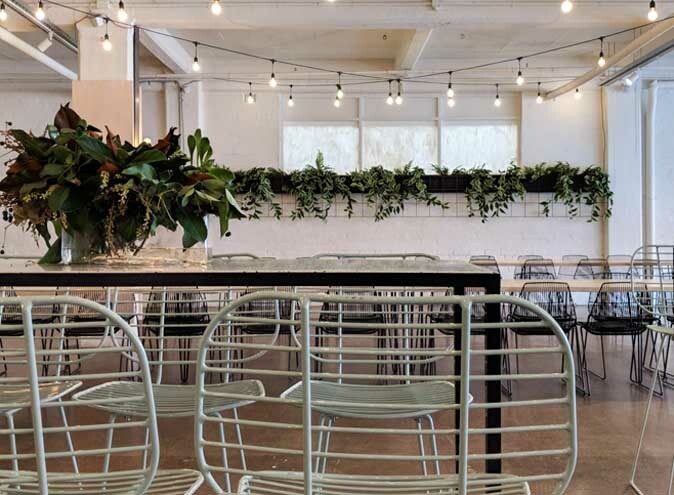 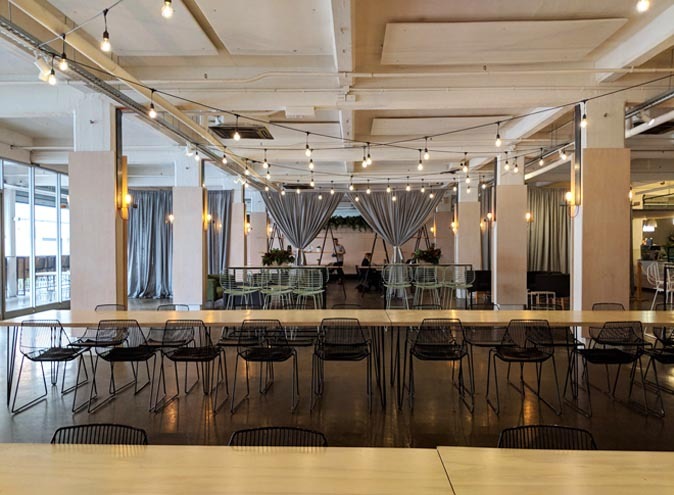 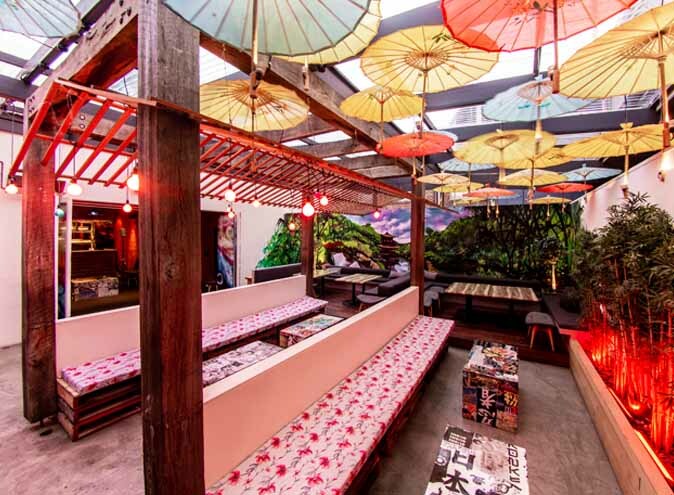 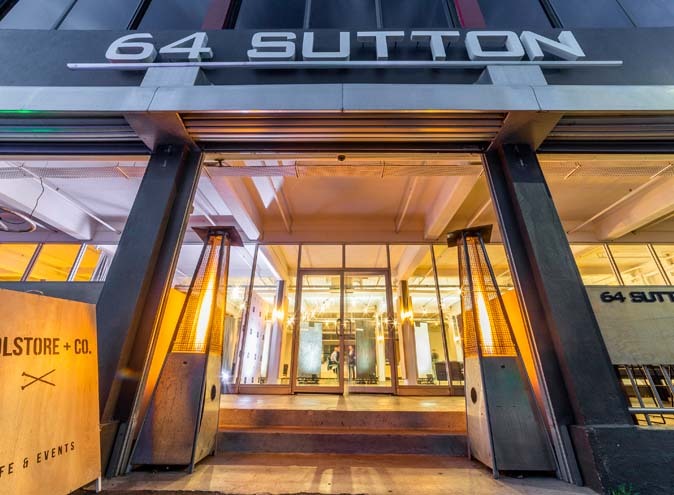 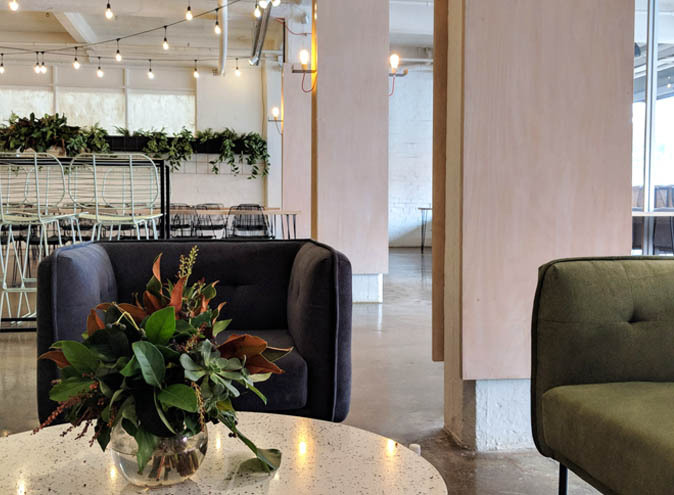 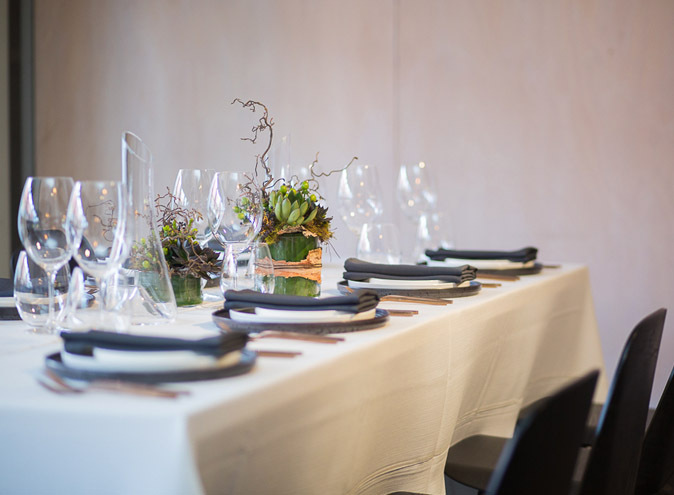 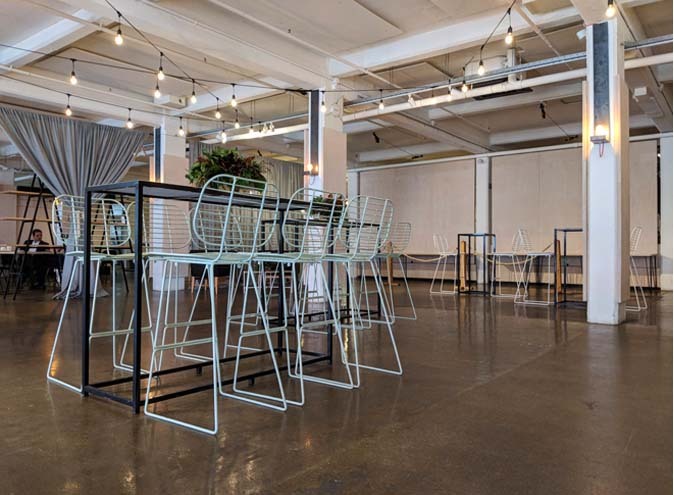 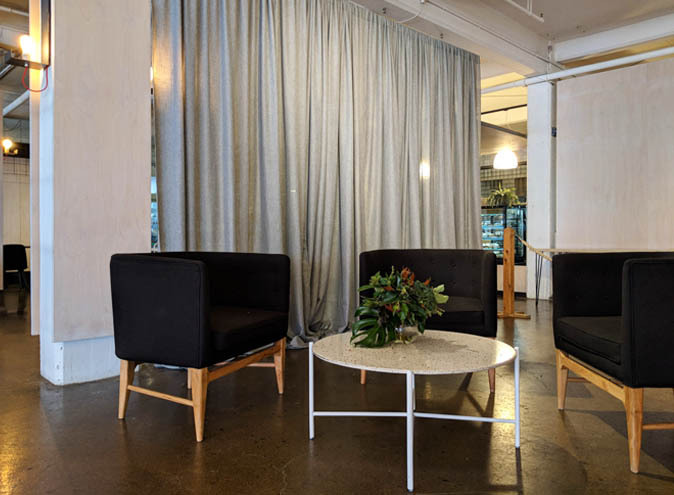 Nestled in the heart of North Melbourne amongst the saw tooth skyline of the urban landscape The Woolstore is the perfect location to host both private and corporate events all year round. 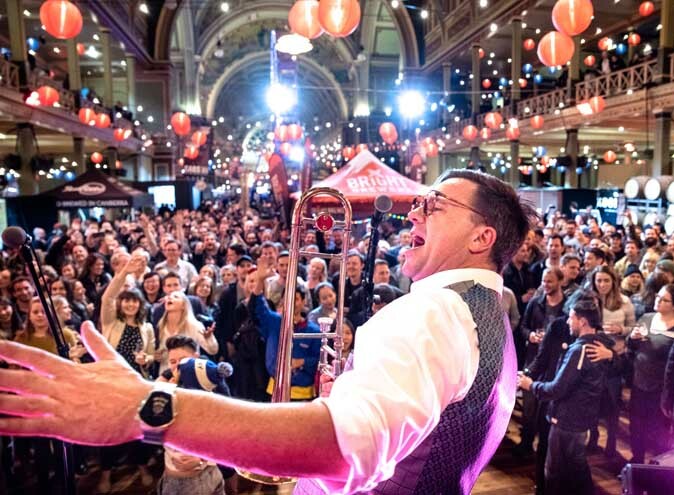 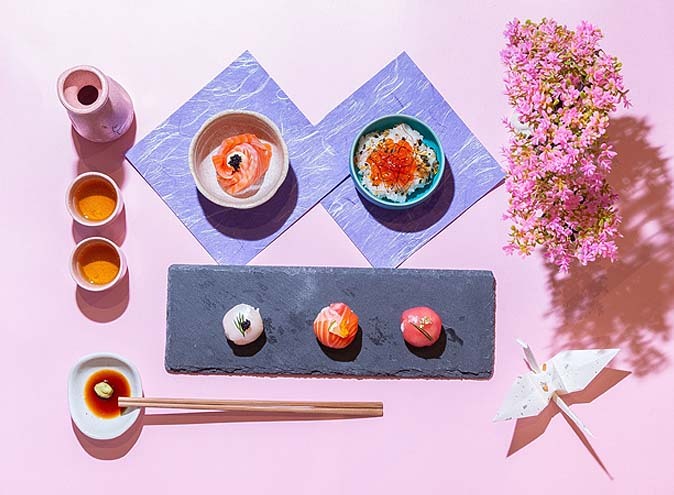 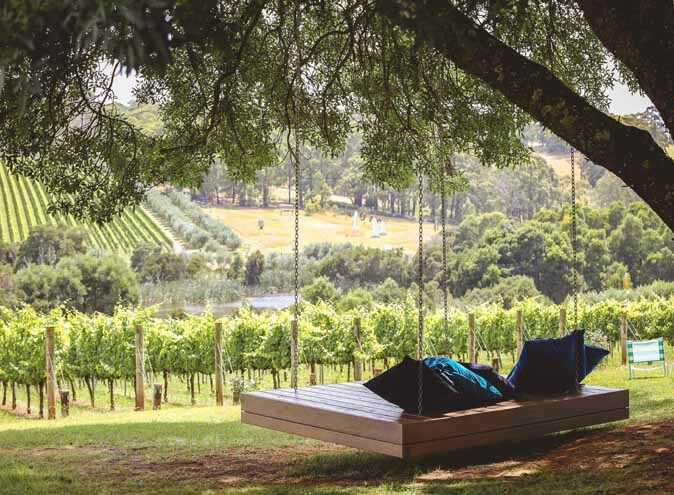 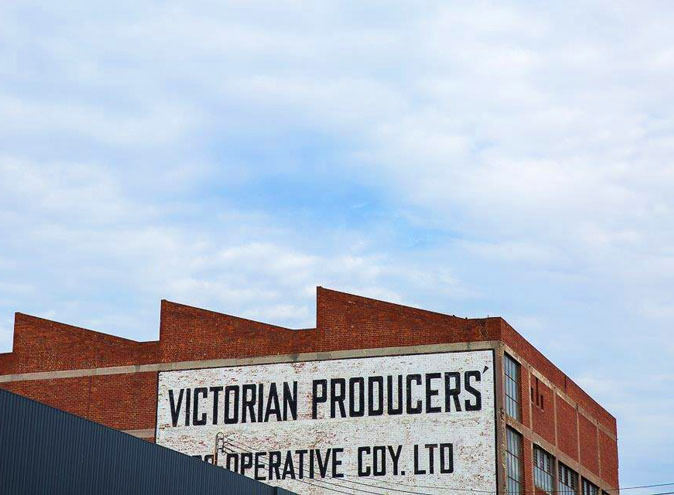 Rain, hail or shine, which is all in one day for Melbourne, doesn’t affect the Woolstore + Co. events other than providing a variety of backdrops for unforgettable photos. 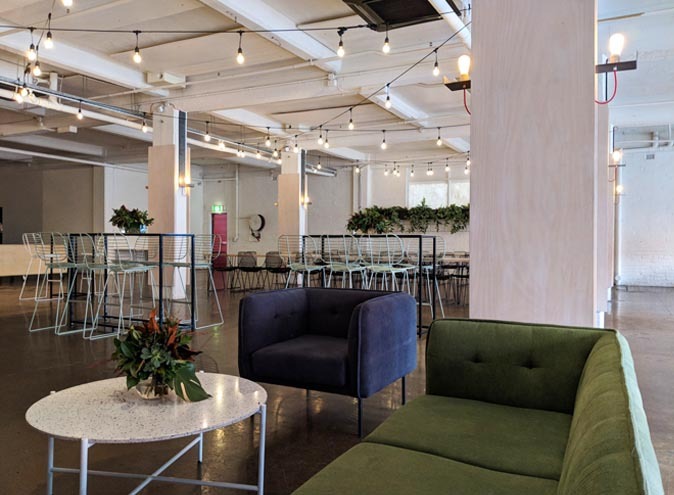 The space has been designed meticulously to reflect all elements of the historic Commonwealth Woolstore building it resides in. 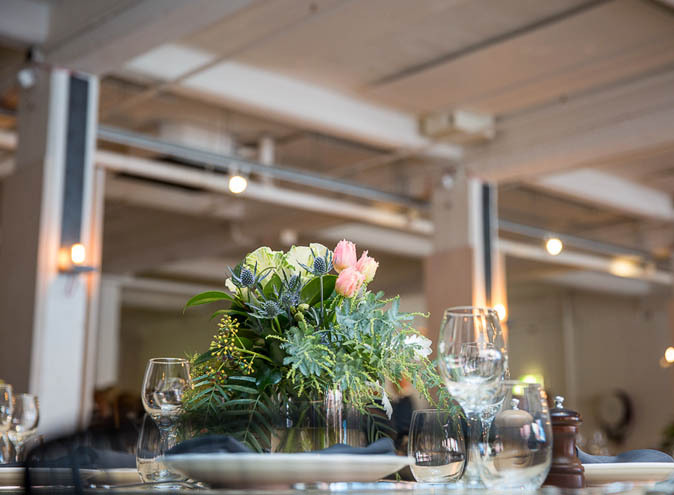 Unique suspended wooden doors open the venue up to an impressive bar, café and our on show production kitchen where all the local produce is cooked onsite by the talented Bay Leaf Catering team. 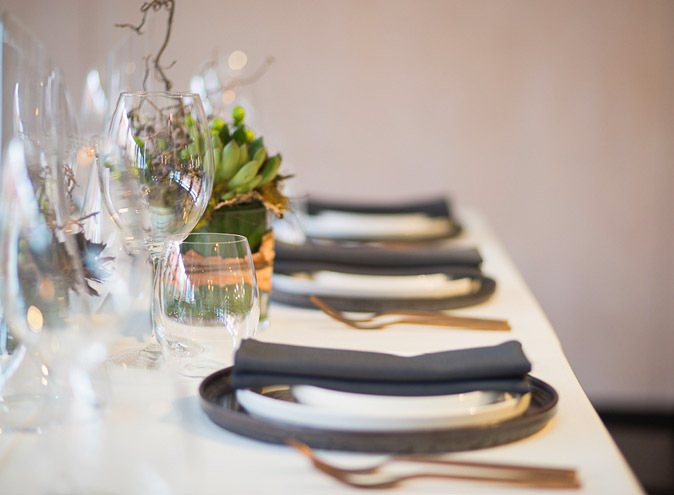 This means you don’t need to organise a venue and catering separately as we are all in one. 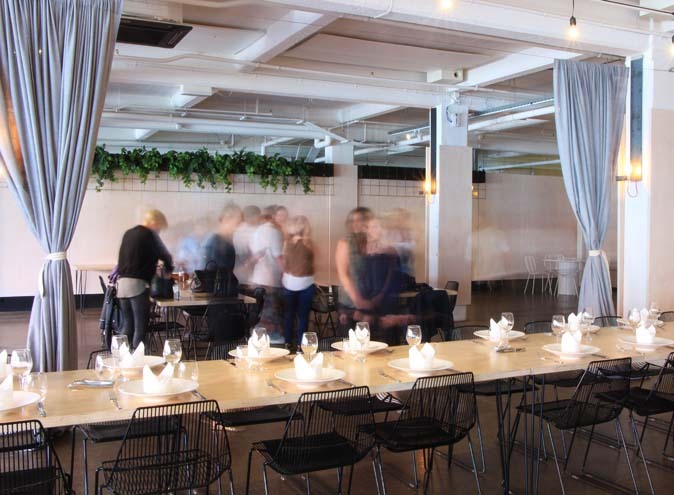 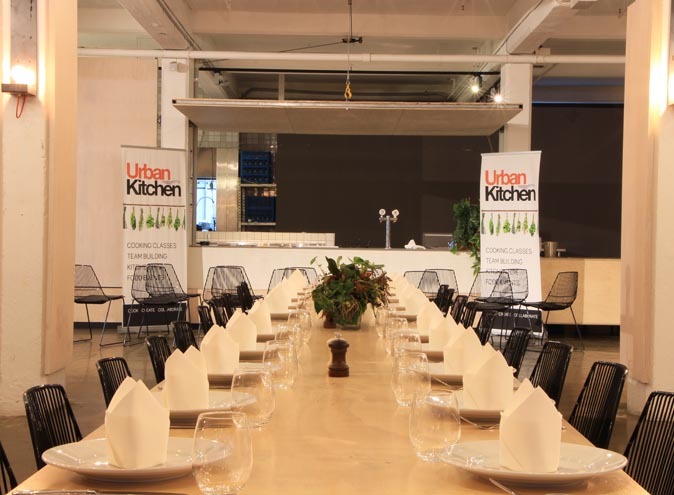 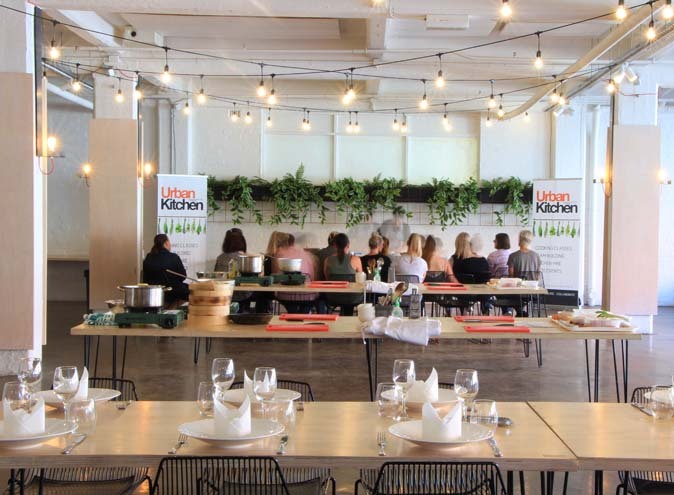 Whether you are organising a conference, cooking class, workshop, sit-down dinner or wedding, the Woolstore + Co. 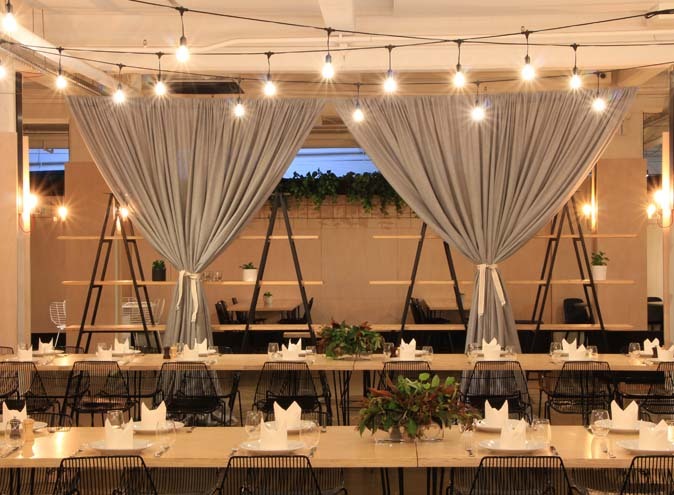 Team will make your event a memorable occasion.